Market Segmentation is the first step in designing a customer-driven marketing strategy. It is the initial stage of developing a marketing logic by which the firm can create customer value and build profitable customer relationships. 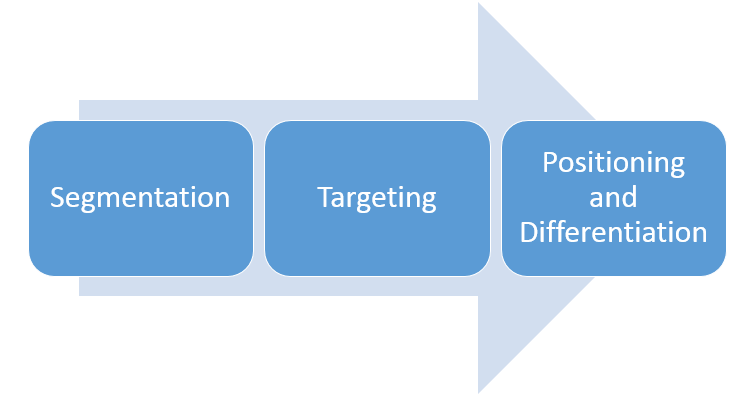 Market Segmentation, Targeting, Positioning and Differentiation – necessary for an integrated Marketing Strategy. Why do we need Market Segmentation? Any company should know that it cannot serve all consumers in the total market – at least not profitably and in the same way. The variety of different kinds of consumers and their needs is simply too large. There are too many differing types of customers, characteristics, needs, wants, and behaviours. Also, most companies can serve some segments better than others, because there is a greater fit between the company’s strengths and the segments’ opportunities. Thus, every company should not try to focus on the complete market. Instead, it should divide it up into small segments, which is called market segmentation. Then, it is better able to reach these markets efficiently and effectively with products and services that meet their unique needs. This is the first step of setting up a marketing strategy. In order to divide the market into groups of customers, we have to group consumers, based on various variables which are relevant to the company. These variables can be based on geographic, demographic, psychographic and behavioural factors. But not every market segmentation variable is equally useful for each company. For instance, a car manufacturer would gain little by distinguishing between vegetarians and non-vegetarians. However, for a meat company, this may be the most important variable in the marketing strategy. Below you can find an overview of the major variables that can be used in market segmentation. The first variable that can be used for market segmentation is of geographic nature. Therefore, Geographic market segmentation divides the market into geographical units, which can be nations, states, regions, cities or even neighbourhoods. Have you ever wondered why billboards close to universities advertise more often pizza and beer, while in residential areas they show cooking ingredients, fresh food and baby products? The answer is geographic market segmentation. Demographic market segmentation is all about people. It divides the market into segments based on variables that tell us something about the population: age, gender, family size etc. Worthy of note is the fact that demographic market segmentation variables are the most popular bases for consumer market segmentation. The reason is that consumer needs and wants are often interrelated with demographic variables. You can clearly see that energy drink is mainly bought by young to middle-aged people. So, this need varies directly with the demographic variable age. Another reason is that demographic variables are rather easy to measure in contrast to many others. 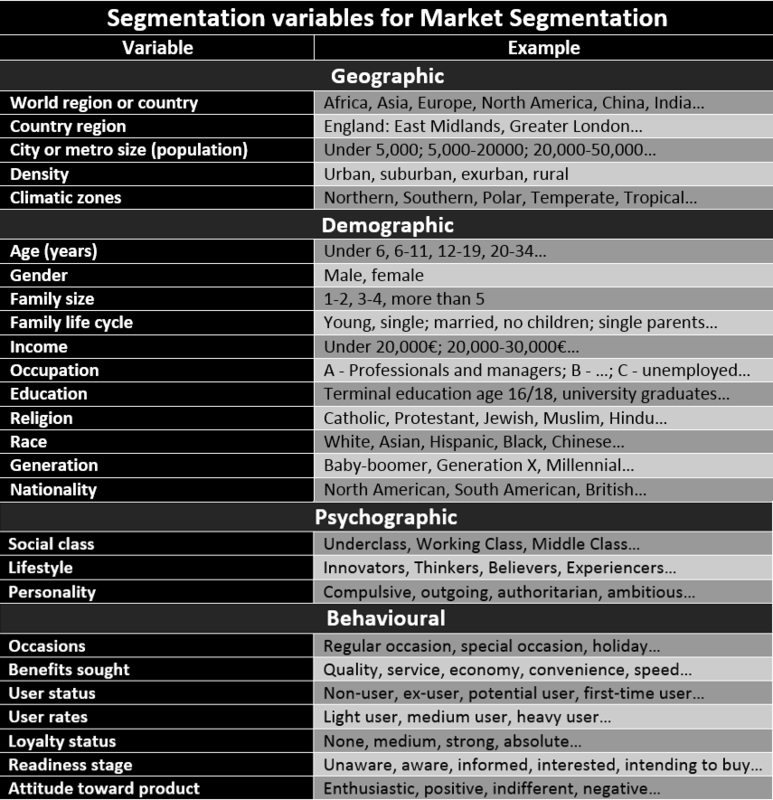 Another group of variables suitable for market segmentation is the Psychographic one. 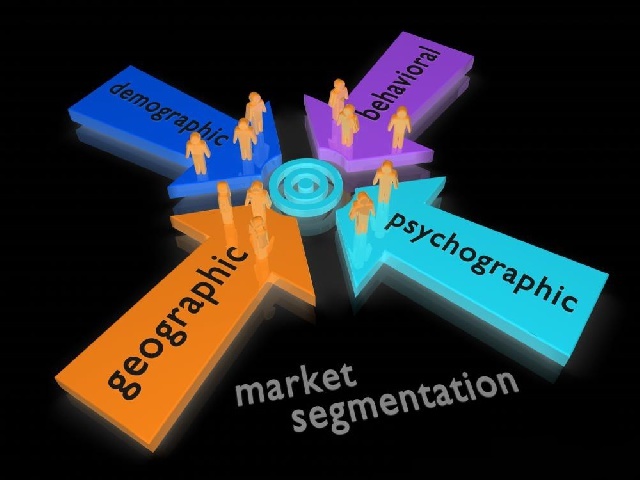 Psychographic market segmentation means dividing the market into segments based on variables such as social class, lifestyle and personality. Good examples for a market segmentation based on lifestyle are furniture, clothing and cars. Also, nearly every market can be segmented based on social class. And a holiday cruise line offering adventure holidays might like to segment the market based on personality, looking for adventure seekers. Behavioural market segmentation may be another good starting point. It divides a market into segments on basis of consumer knowledge, attitudes, uses or responses to a specific product. These elements might require some explanation. Occasion segmentation is all about dividing the market according to occasions that move a consumer to buy or use something. What occasion will result in an idea to buy a product or use it? Most consumers who drink orange juice might do so at breakfast. Others might prefer it as a cooling drink after sporting. Thus, the breakfast or the time after sporting are the occasions according to which we can segment the market. The market segmentation variable Benefits sought should also be explained briefly. It refers to the benefits that a consumer seeks from a product. Thus, you can divide the market into segments based on the different benefits that consumers seek from a product. If we talk about clothing, some consumers might seek style, others function, again others durability as a benefit. Thus, each segment seeks a different mix of benefits. The company should choose the one it can serve and satisfy best. Only rarely do marketers limit the market segmentation to one or a few variables. Instead, multiple variable market segmentation is used to identify precise, better-defined target groups. And that becomes clear when you look at an example: your company, a car manufacturer, could segment the market on geographic variables only. Then, you can develop two models, one for the Chinese market and one for the European market. But that would not make any sense without considering many other factors, such as demographic, psychographic and behavioural ones. Thus, for nearly every product, multiple variable market segmentation should be applied. As we have learnt, there are many different ways to segment the consumer market. However, market segmentation must always be effective. Clearly, not all segmentations are equally effective. To give an example: buyers of table salt could be segmented based on hair colour. But being blond or brunette does, obviously, not affect the purchase of salt. Therefore, we can find certain requirements that should be fulfilled for an effective market segmentation. Measurable: Population size, purchasing power and nationality can be measured. Some segments may be difficult to measure, due to lack of data. Then, there is always a risk involved in targeting these segments. Accessible: The market segments should be effectively reachable. Substantial: The market segments should be large and profitable enough to serve. Differentiable: The market segments should be distinguishable and respond differently to elements of the marketing mix and programme. Actionable: Is it even possible to serve that segment? This requirement is only fulfilled if effective marketing programmes can be designed for the market segment. As we have seen, there are many different opportunities and possibilities to divide a market. By dividing the market into small segments, we are better able to reach the right consumers efficiently and effectively with products and services that meet their unique needs After having found the specific segments, we can go on to the next step, to find out which of these we are going to serve: Market Targeting.